i. Patient finds a doctor and books an online appointment, 24/7. ii. Doctor is notified on his/her calendar and via alert. iii. Patient receives appointment confirmation and recurrent reminders are set. iv. Patient attends the appointment. v. Doctor charts patient’s consultation on TrakMD EHR, after gaining access to patient’s Personal Health Record. vi. Satisfied patient adds a visit review, recommends doctor to friends on social media. vii. More patients book appointments. Online Booking: Attract new patients, fill last minute cancellations, and improve patient accessibility. Your patients book you with a click of a button, 24/7. 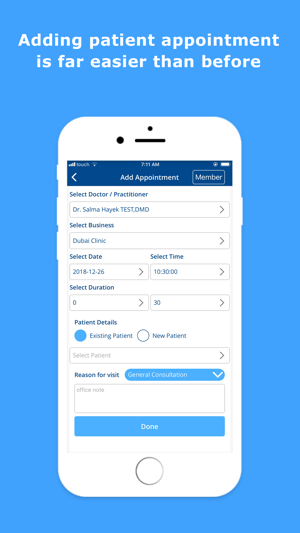 Appointment Reminders: Reduce no-shows, build patient loyalty, and improve employee efficiency. 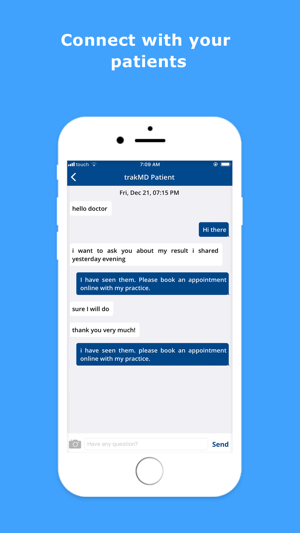 Your patients receive appointment reminders by sms and/or email. Personalized Website: Showcase your practice online. Your patients will easily find you, book appointment with you, and recommend you on social media. 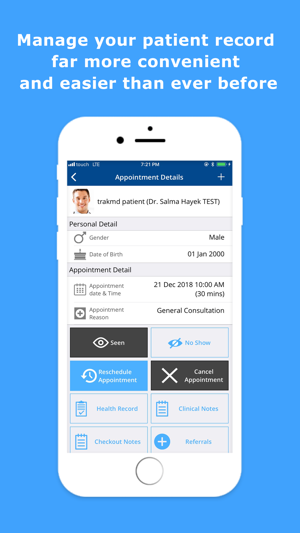 Anytime, Anywhere EHR: Managing your practice on the go is far more convenient and easier than ever before. It is simple, secure, and mobile. Patient Portal: Your patients stay on top of their health. Helps your patients be more informed, engaged, and active in managing their health. Online Doctor Referral: Grow your referral network. 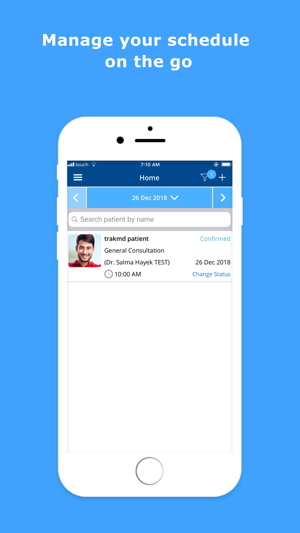 Send and receive patient’s referral instantly and far easier than ever before. Automated reports and analytics: Stay informed and continuously improve your performance. 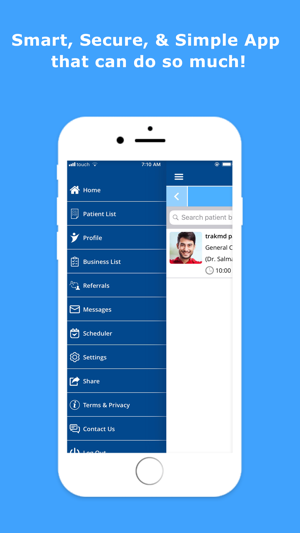 Generate reports for appointments, patients, billing, practice revenue, and much more. Customer Support: 24/7, reliable, & friendly. Our customers come first. We care about you and your patients. Stringent security: 100 % HIPAA compliant. You can rest assured; your data is hosted on a secure, controlled, and robust server, and is regularly backed up. Attractive, variable pricing plans: Choose your plan Now. There is NO set-up or support fees Very attractive monthly fee.